Want to make that image or text really "POP" on the page? Create a halo of color with Outer Glow. Outer Glow can be used on any element, but the coolest part is what it does for text. 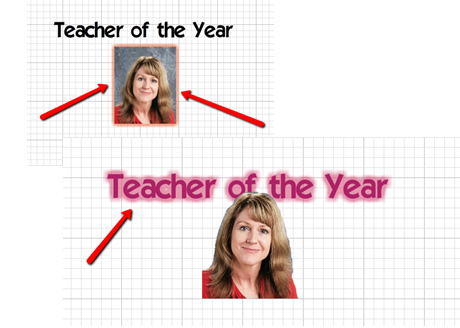 Similar to Knockout text, it creates an outline around the text, but using different combinations of blur, opacity, and strength, you can make some very unique headlines just by using pieces found on School Annual Online. In Page Designer, click the Format button and select the Effects tab. 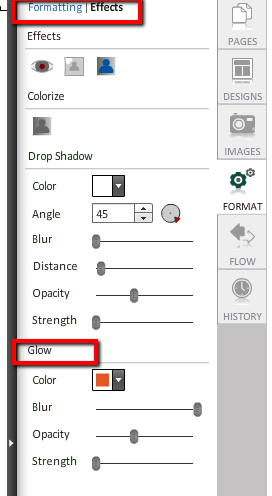 With the object selected, click the color dropdown to select the Glow color. Blur / Opacity / Strength can be changed to suit the design.